Temperatures will plunge to below zero tomorrow. 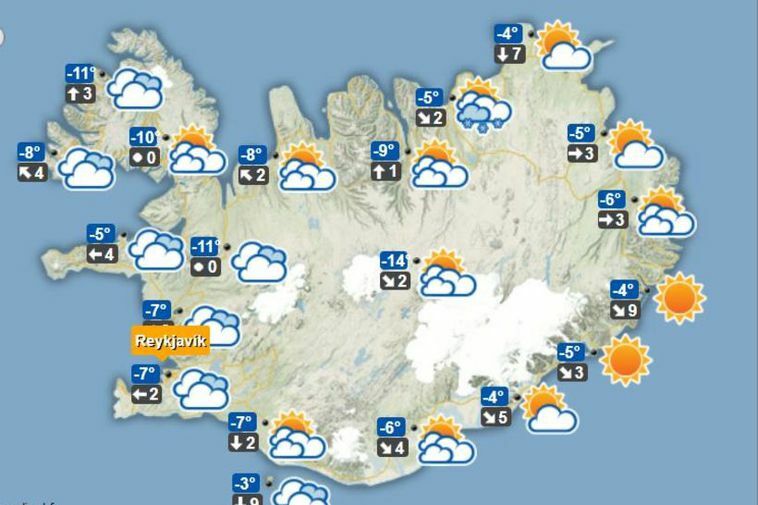 Snowfall is expected in many parts of Iceland, including the capital area tonight but tomorrow temperatures will plunge to well below zero, going up to -18 in some parts of the country. Temperatures will be mildest on the South West and South East coast. On Thursday temperatures will go up again and some rain is expected and strong winds in the South and East.